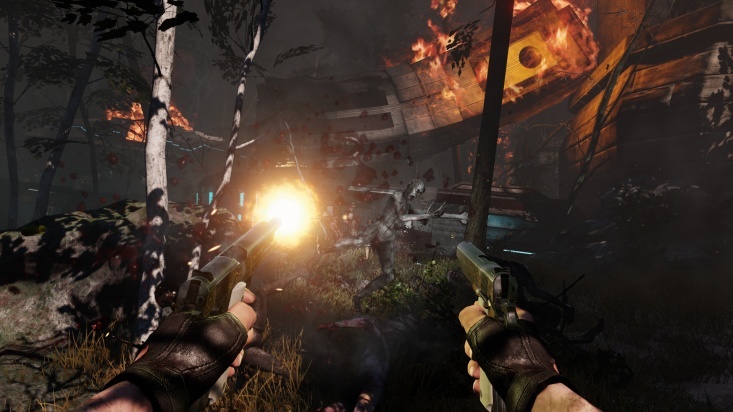 Black Forest is a Killing Floor 2 map. 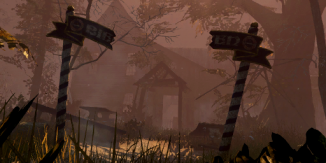 It was added in the game during the Early Access period on December 3, 2015, as a part of Return Of The Patriarch update. 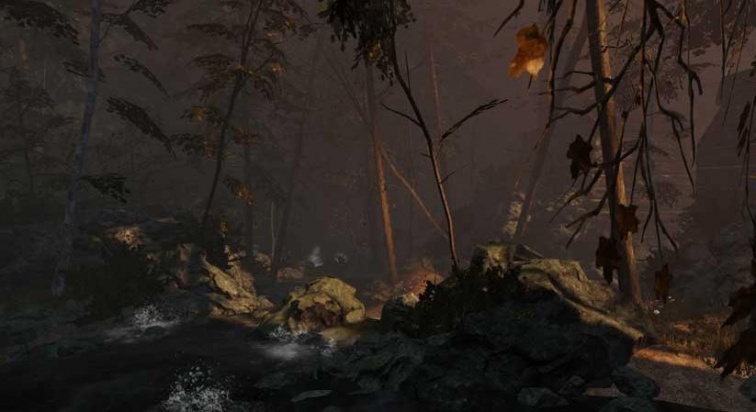 It is the first map in the game to introduce dynamic weather elements - as the game goes map slowly transits from daytime to nighttime making it harder to see and navigate through. 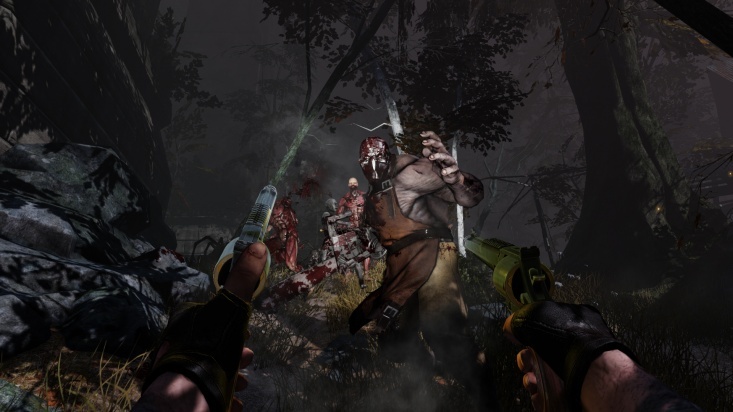 "Once little more than a disused cottage located deep in the Black Forest of Germany, a crashed Horzine cloning unit has brought blood and terror to this tranquil woodland scene. Now the Zeds must be contained before they spread further through the heart of Germany." "In a remote area of the Black Forest stands a ruined bar that had been a favorite destination for hikers and bikers for years. The wreck of a Horzine Zed-transport train did nothing to preserve the natural beauty, though. Welcome to the Black Forest. 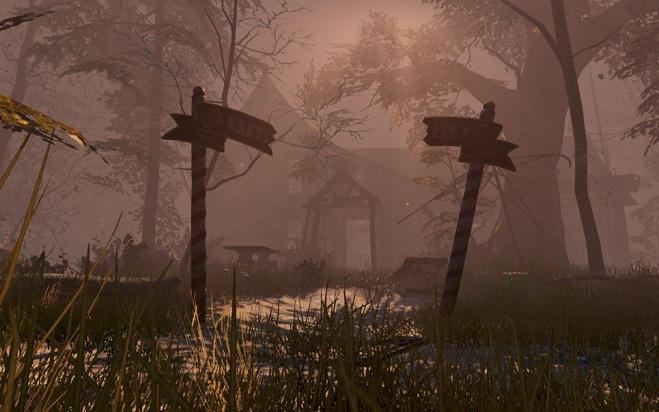 You have been sent deep into these murky woods to find something (and it doesn’t look like it involves cake). With luck you will also be able to find your way out..."
This page was last edited on 22 October 2018, at 19:56.